A Los Angeles County coroner's report released Monday named the 26-year-old Miller's cause of death as "mixed toxicity"
Paramedics found Miller unresponsive in his Los Angeles home on Sept. 7 and declared him dead soon after. An autopsy was performed Sept. 10. A Los Angeles County coroner's report released Monday named the 26-year-old Miller's cause of death as "mixed toxicity," saying cocaine, alcohol and the powerful opioid fentanyl were found in his system. The Pittsburgh native was in a two-year relationship with Ariana Grande that ended earlier this year. 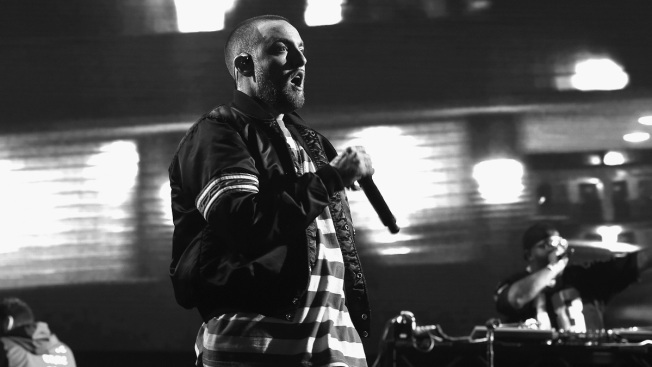 Performers at a tribute concert for him last week included Chance the Rapper, Travis Scott and John Mayer.